Long soft white sandy beaches in a small Caribbean paradise in Yucatán, Tulum, attract more and more water sport lovers every year. 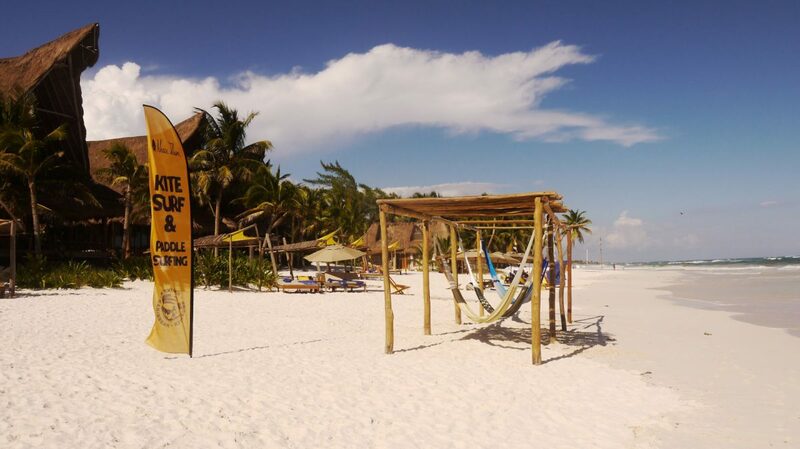 Whether you are an experienced kiteboarder or paddleboarder or you have never heard of such things and are just thirsty for a new experience, the Mexican Tulum is just the right spot for you! Tulum is a unique coastal town located some 130 km south from the Cancún Airport offering clean sea, sandy beaches, and significant Mayan historical sights. Tulum means “fence” or a “wall” in Mayan – its wall allowed the Tulum fort to be defended against invasions. Nowadays tourists come visit the remnants of the wall. The ruins are situated on 12-meter (39 ft) tall cliffs, along the east coast of the Caribbean Sea in the state of Quintana Roo, Mexico. Author Iva KorgerovaPosted on 21 February, 2017 18 May, 2017 Categories ArticlesLeave a comment on Wanna Kiteboard? Let’s Go to Tulum!